Brian May, famous for his role as the main guitarist in Queen, is not only an incredible talented guitarist, who stills plays his instruments just as good (if not better) as he did in the heydays of Queens success. However though May himself is an interesting, talented and curious person, for guitar players like us there are two more sides to him that makes him even more interesting. First of all his first guitar (which is still in use) was homebuilt by May and his father, mainly from scraps and random pieces of wood. Though fashioned in this way the guitar has a professional sound and due to a number of renovations still plays perfectly to this day. Another curious thing about may is that he doesn’t use picks, at least not in the traditional sense, instead he plays with coins! Brian May and his farther began the construction of his unique guitar back in 1963, when May was around 17. Having already built at least one guitar beforehand the pair had some experience, but no education in the matter. Being a poor family, the bulk of the guitar had to be fashioned out from pieces of scrap and what could be found for cheap or free. The guitar called the Red Special, the Old Lady or the Fireplace, is constructed form a number of various bits and pieces. The neck for instance is made from the wooden mantle of a fireplace (hence its name), while the body is made from the wood from a table, some block-board and a veneer of mahogany. The entire guitar is made with hand tools, as the whole instrument was made in the work shop of the May’s family home. And not only is the entire thing hand built and carved, even the wiring is made by May and his father, even the frets and everything else besides the strings and the pickups (which he have personally restrung, leaving only the strings unmodified) are made from random pieces of material – the whammy is made from part of a bicycle saddlebag holder, the springs attached to it from a motorbike and the tremolo is made from parts of an old knife. Truly a patch work instrument one should expect it to sound like that as well. 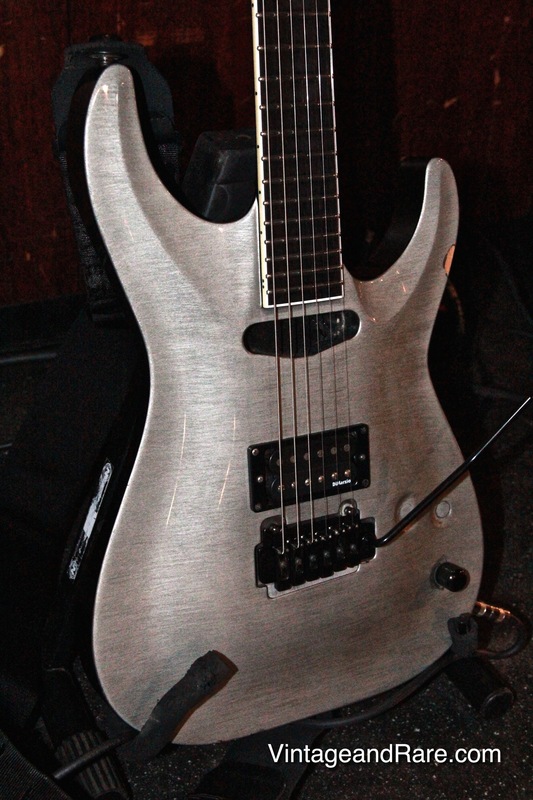 Surprisingly enough the guitar has a truly amazing sound, as if it were made form a professional luthier. Having been feature on every single Queen record to date. Actually the only period of time when May does not use it is when it is required for him to change guitars for specific songs or if the Fireplace is receiving maintenance. When being maintained May often uses replica guitars made from his own guitar building company Brian May Guitars, guitars that he often takes with him on tour to be sure that replacements are ready should the need arrive during a concert. However the guitars alone are not the single reason behind his unique sound. His own personal flavour is of course the main reason behind his sound, yet those two factors alone is not the only thing that creates the Brian May sound; his curious choice in guitar-picks is also a major contributor as May have become fond of using coins instead of picks! He mostly uses British sixpence coins, but is also known to use american cents or dimes or other coins that are of equal or similar size and thickness. May claims that the rigidity of the coin helps him when he plays, and that the ridges on the edge of the coin aids him in creating unique sounds, that he does not feel he could get in other ways. No matter how he goes around it we think that Brian May is a guitar legend in every way and we hope that he will continue to contribute to the world of music in years to come, both as part of Queens live tours and as a featured guitar player for other artists. For more info on Brian May visit his website here. 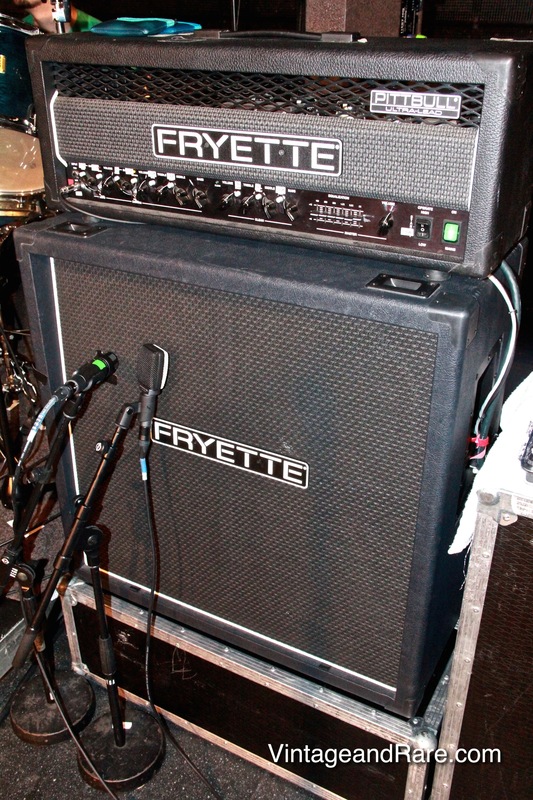 For more Premier Guitar rig rundown videos, visit the rig rundown playlist on youtube here. Our friends from Sanden Guitars would like to endorse Homesick Mac. This July he is hosting 1st annual Guitar Retreat in Sweden. Please help us spread Mac’s message through your community. It’s very much appreciated. Below you can read his message and a video that Nicolai from Vintage & Rare recorded with Sanden Guitars and Homesick Mac. For more information please visit www.homesickmac.com/retreat/Homesick_Macs_site_updates/English.html . 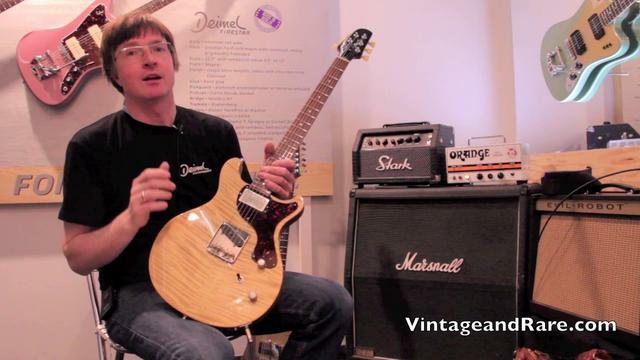 Nicolai from Vintage & Rare met up guitarplayer, singer and composer, Page Hamilton, from Helmet before their concert at the Vega venue in Copenhagen, Denmark 2013 to talk about Page´s gear. Helmet is an American metal band which was founded in 1989 by Page Hamilton. They have released seven studio albums and two compilations. In 1998 the band split up, but reformed in 2004. Their latest album, ” Seeing Eye Dog ” has been released in 2010. 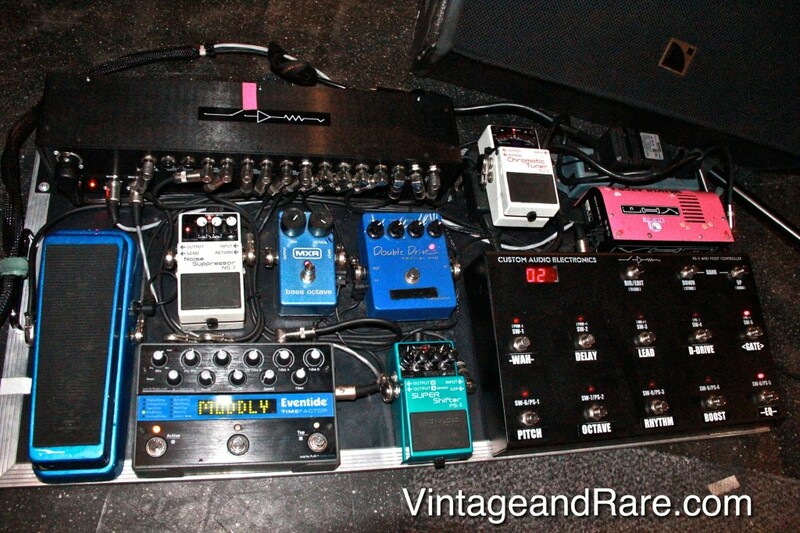 See Page´s gear setup for the 2012 EU Tour below. Walk off the Earth is an unique Canadian band. Their interpretation of Gotye’s “Somebody That I Used To Know” has so far reacg more than 67 million views on Youtube. Vintage & Rare got the opportunity to talk to Sarah Blackwood, the band member. She told us something about their work, how does it feel to be the only girl in the band, their future plans and many more. Hi Sarah, thank you for taking your time to speak to V&R. Could you please tell us a bit about how you got into playing music together in the first place? I started working with Gianni a long time ago. Around 2007. Him and Marshall started WOTE in 2006 and just over the years we have all come together for different projects and music. Gianni helped produce and engineer my second solo album and during that time we started talking a lot about making videos and getting involved more with each others music. Over the past few years it’s all just kind of come together with everyone and the music and videos have created buzz and momentum for the band. Your version of ’’Somebody that I used to know’’ has more than 64 millions views on Youtube. How important do you see Youtube as a promotion tool? We have been making stuff for the Youtube world for a few years now. From experience and research we saw potential in it more so than anything else. I personally spent the past 6 years as more of a “road warrior” so to speak. Touring full time and traveling around the world with my music. When we put our heads and music together from the road and with the world of Youtube/Social Media our minds opened up big time! Youtube is a whole different world and we know there is so much more to develop from it. We’re just getting started. Social Media really is changing the world. Five people, one guitar, five different roles – Great concept and it really sounds great. How did you came up with that idea? Gianni came up with the idea. Every time we do a video the idea stems and we just go from there. With this one, it was something he had wanted to do for a while. When we looked up other videos on Youtube we could only find three people on one guitar. So we did five. Every idea we have has to be incredibly creative and inventive. Otherwise you’re just doing what everyone else has done already. Does the instruments you play live differ from the ones you’re using in the studio? Yes they do. We have a plethora of instruments that we share in studio with the stage and not. In face, just recently we have been obtaining more instruments than ever. It’s pretty neat. We also use random things as instruments as well. Like little pieces of metal instead of a snare drum. Or cardboard boxes instead of a drum. Or a box of TicTacs instead of a shaker. We like to get super creative. Any artists you would like to play with? I would love to play with a few different people. Mumford and Sons would be a killer! You are the only female in the band. How does that feel? Or is it really the other way around? It’s much better than being in a band with all girls! haha. Either way, the members in the band now add a dynamic that was never this strong. No matter what… we are family and will be together until the end. I love hanging out with guys because they are drama free for the most part. And in return, I have learned a lot about being patient, trustworthy and incredibly independent. There are many, many valuable things you learn about being a girl when spending all your time with guys. Are you working on some new songs? Recording? Will you be touring soon? We have a bunch of new original songs recorded now! The past 2 months have been insanely busy and we are working on an album to hopefully be released before or during the summer. It’s cool because now we just get to work on music and videos. It’s still a TON of work, even much, much more than before, but it’s our dream job so we are all so happy. We have tours and summer festivals coming up soon too! Don’t drink chocolate milk before bedtime, it will give you nightmares. Frank Deimel opened his guitar/bass-workshop in 1998 in Berlin. Some of his clients are Sonic Youth, Tocotronic, Nikki Sudden etc. We had a little chat with him about his work as a luthier. Hi Frank, thank you for taking your time to speak to us. Could you tell us a little bit about how and when did you start your company? Where are you located? I started my guitar-building company in Berlin during my study at the UdK Berlin, while I took the Industrial Design courses. 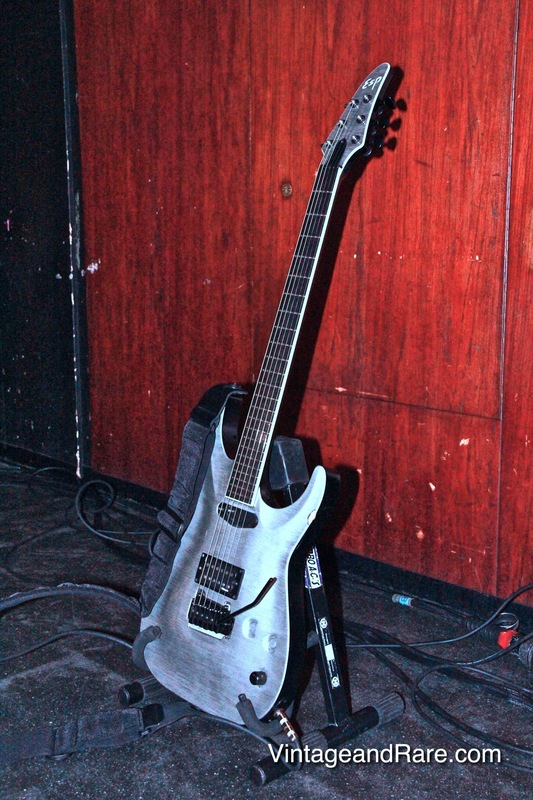 I developed several designs of my guitars during that time, and besides that I got to known Berlin as a divided place. In 1998 I officially started the business, which is based in former west, called “red island”, it`s a place somewhere between Potsdamer Platz and Tempelhof.